“Why, when a woman walks in a room, do all the other women size her up?” my husband asked. Where was the nearest rock? I thought, as I desperately wanted to crawl under one. My husband had just pointed out what I’ve often seen, but didn’t think others noticed. Our insecurity tends to come out when we’re in situations where we feel “less than” or uncomfortable. Greg’s comment that evening stirred a series of questions in my mind. What holds us back from offering encouragement when we know most of us struggle with feelings of insecurity? Why, when we have the power to do so much good for each other, do we not do it? Why would I not, when I have a good thought about another person, simply say it? “I noticed your kind act in the grocery store. You inspired me! The more I thought about it, the more I knew how easy it would be to start speaking good things about others. So, I’m starting with this resolve: If I have a positive thought, I’m going to say it. It doesn’t matter if I know you or if you are a woman I’ve never met. With God’s help, I no longer want to withhold good from those who deserve or those who need it, when it is in my power to help them. My prayer is that not only will I encourage others along the way, but my kids will see God’s goodness pouring through me and they too will be inspired to not withhold good from others. If we’ll join together and make sharing the good we see normal, we might just bring some really good change to the world. Jesus, I want to be a bringer of Your good to my world today. In everyday moments like at the grocery store, when seeing my neighbor and as I go about my work, open my eyes to see the good in others and then call it out and encourage them with the power of my words. In Jesus’ Name, Amen. Do you know a teen girl you long to see grow in goodness and reach her God-given potential? If so, Lynn Cowell’s latest book Magnetic: Becoming the Girl He Wants, a study based on the fruit of the Spirit, is for her! Lynn is sharing on her blog today 10 Ways to Living out Goodness in our families. She’s also giving away two copies of her new book! Why do you think we can tend to be quick to judge but not easily share the good we see? What holds you back from sharing the good you see in others? This entry was posted in A CLICK A BLESSING TODAY, CHRISTIAN LIFE AND THE WORD, SHARING STRUGGLES , Shaping Spiritual Solutions! 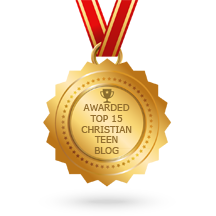 and tagged critical spirit, encouragement, God's View vs. World View, Guest Blogs, insecurity, judgement, Life lessons, Lynn Cowell, Observations, Proverbs 31 ministries, Slippery Slope. Bookmark the permalink.